Does a state-of-the-art rotary engine really have what it takes to make an impression in the world of racing technology? 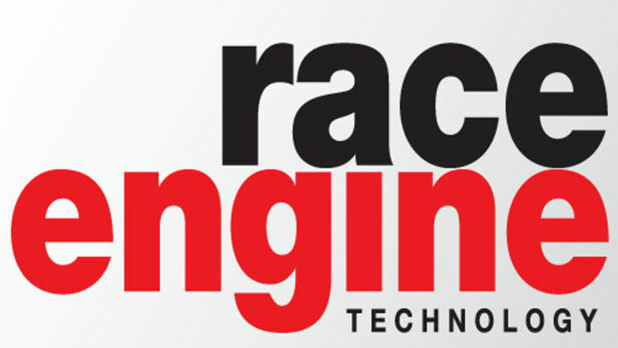 That was the question raised by Ian Bamsey in the November 2017 issue of Race Engine Technology Magazine. Bamsey interviewed rotary engine patriarch David Garside, and AIE (UK) Ltd Managing Director Nathan Bailey, regarding AIE’s latest advancements into the world of rotary powertrain technology. The featured article ‘What Goes Around Comes Around’ takes an in-depth look at AIE’s single-rotor engines and combined patented technology that could herald the rotary engine’s return to motorsport. The magazine article follows the recent demonstration of AIE’s 650S rotary engine, that successfully powered a Westfield sports car at Millbrook Proving Ground track. It is AIE’s 650S engine that really showcases the potential of the small-form rotary in an industry where downsizing is crucial. Yet, as the article points out, the distinguishing factor of the AIE rotary as a next-generation racing engine, is not just its size, but the patented technologies made available through David Garside; the mastermind behind the Norton motorcycle engine that won the 1992 Senior TT. In particular, the patented SPARCS (Self-Pressurising Air Rotor Cooling System) addresses two deficiencies of the conventional air-cooled rotary; inadequate cooling, such as in high ambient temperatures and an inefficient total loss lubrication system. Garside then goes on to explain within the article, the advantages of the SPARCS system. His invention utilises a sealed cooling circuit consisting of a circulating centrifugal fan and a heat exchanger. The high-density gas circulating through the rotor provides much-improved cooling. Lubricating oil fed into the circuit is able to make many passes through the rotor internals before eventually escaping past the gas seals into the working chambers. This ensures all surfaces are lubricated before the oil is burnt or emitted as vaporised gas, resulting in no wet oil emission and reduced oil consumption. These advancements in rotary technology are significant in positioning the rotary engine as a major player as a next-generation racing engine. As rightly pointed out in the magazine article, a major focus for the AIE rotary is within the UAV (unmanned aerial vehicle) market, where weight considerations dominate. Popular rotary engines for this industry are AIE’s smaller 225CS and 40S engines, the latter just 125mm tall and weighing 2kg. However, it is the 650S that is designed to deliver high power for competition racing, with its inherently low vibration and better efficiencies at the higher rpm that is required in motorsport. In addition to this, the 650S is also suited to hybrid power generation. AIE is actively developing rotary hybrid technology to explore kinetic energy recovery in collaboration with Westfield Sportscars which is hoped will lead to a cleaner choice of motive power for niche sports cars. The future of the rotary, therefore, is one of exciting opportunities, and thanks to honest reviews such as in the Race Engine Technology Magazine, the 650S rotary is now recognised as a serious contender for future hybrid-rotary powered sports cars. The Race Engine Technology Magazine, November 2017 Issue 106 is available to purchase through High Power Media.